Collapsed Sewer Pipe Repair in New Jersey Collapsed sewer pipe repair is a serious emergency that requires immediate sewer repair services from a professional contractor. This phenomenon occurs when the pipe loses its structural integrity, after being gradually weakened over a longer period of time. 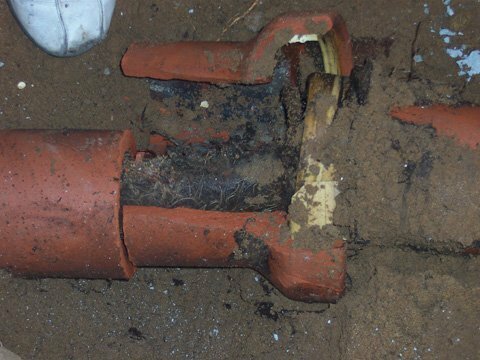 At this point, the soil above it collapses into the broken sewer pipe, completely obstructing the flow of wastewater and causing serious sewage backup into your plumbing.